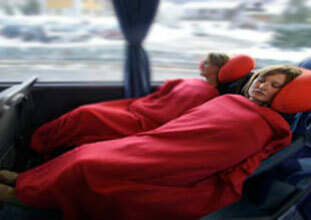 Relax - your holiday starts as soon as you board SkiMeribel's Luxury Sleeper! 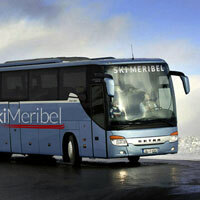 The Ski Meribel coach leaves every Friday, direct from Bedford, London Victoria and Dover* to Meribel Centre, Meribel Village and La Tania, also stopping at Moutiers station for transfers on to many other locations. Our sleeper offers you the luxury of seats with an excellent recline, foot and leg rests plus pillow bolsters and blankets for added comfort. Restricted numbers (only 40 seats on what is normally used as a 52+ person coach) allow for maxium leg room. Stretch out, relax and sleep... arriving at the resort fully refreshed and ready for the slopes! We leave the UK on Friday night, arriving in resort Saturday morning. 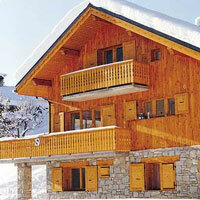 You then have 8 full days skiing in resort, before returning the following Saturday evening. *We can also happily arrange for discounted parking in Bedford and Dover for those wishing to drive to the pick up points. For returns after two weeks, please contact us. Book now price subject to terms and conditions. Must be paid for in full at time of booking. Dover Eastern at 18.00 hrs. 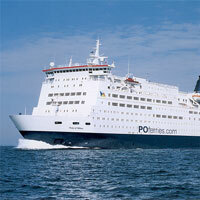 Enjoy a meal and a glass of wine on the evening crossing from Dover to Calais. From Calais you can relax while we continue through the night. There will be a short comfort stop when the coach converts to sleeper mode. 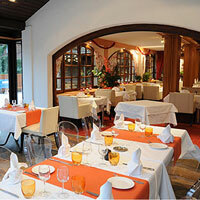 Around 07.30 local time, freshen up and enjoy a subsidised breakfast at the Hotel La Roma. Here you will be met by our resort staff, who will update you on skiing conditions and answer any questions. Enjoy the scenic climb to Meribel, calling en route at Moutiers station for transfers to other locations and then on to Meribel Centre, Meribel Village and La Tania. You will arrive at your accommodation at approximately 10am on Saturday, feeling relaxed and refreshed, ready to enjoy the slopes. Meribel at 17.30 hrs, or Moutiers at 18.00 hrs. 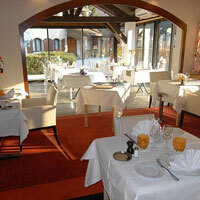 We stop again at The Hotel Le Roma for a subsidised evening meal with wine, beer or soft drinks. Continuing on to Calais, relax with one of our movies. There is a short comfort break before settling overnight. We catch the early morning ferry from Calais to Dover, with breakfast available on board. Arrival at Dover on Sunday morning will be around 07.30 hrs. We arrive back at London Victoria at approximately 09.30 hrs.